Can you believe it is already that time of year to go BACK TO SCHOOL?! I seriously cannot believe the summer has almost come and gone before my very eyes! This is the time of year where our kids crave structure and despite them trying to convince you that they do not want to go back to school, secretly I really think they do just as much as we might want them to. This can sometimes be a hard transition to get back in the swing of things for kids and I have found a few fun ideas to make this time really special and fun. I have always been able to fall asleep pretty much once my head hits the pillow for my whole life, but I definitely have memories of every year on the eve of a new school year I would stay up all night and could not get rid of my nervous jitters. I think kids, especially the elementary school age kids, get these pre-school jitters and I would love to do everything I can as a mom to help this feel more confident and excited about their big day. Most of us celebrate New Year’s Eve with a bang, but why not celebrate “First Day of School Eve” with a bang too? Have a fun party with your whole family where you can discuss and make posters with goals for the year. 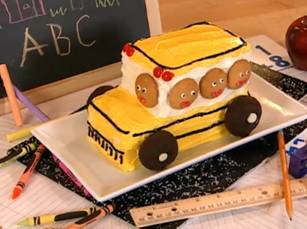 Watch a fun family movie and decorate school bus cookies or a cake together. 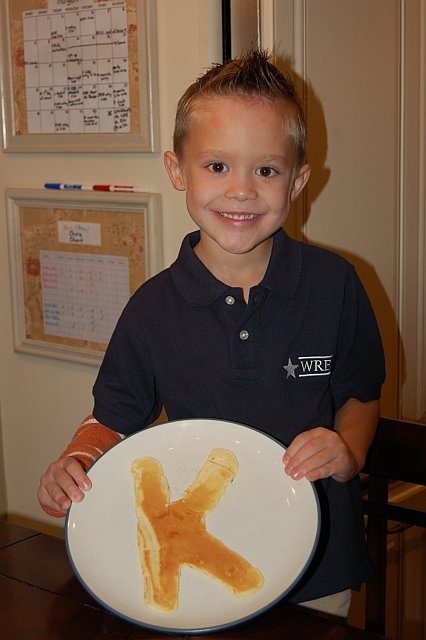 You can start out that first day of school with some pancakes that are in the shape of the grade number they will be going in to. 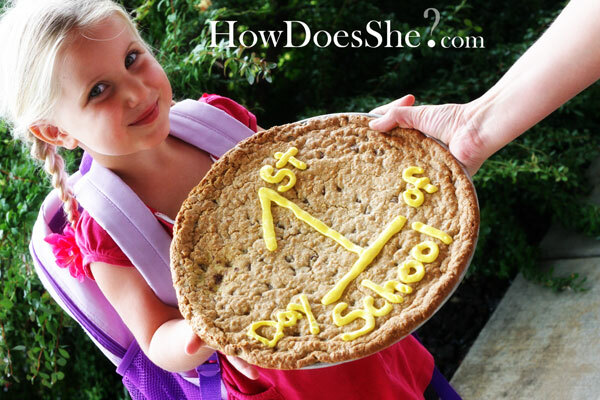 I thought a really fun tradition I read about was this woman, (Missy’s) mother used to make her kids a giant cookie after their first day of first grade that was just for that one kid. Fast forward 25 years and Missy’s daughter saw a cute picture of her mom with this giant cookie and asked for one for her. Missy’s daughter was going into kindergarten, not first grade like what her mother did, but she thought, “What the heck? Who says this tradition can’t just be for first graders?” and started doing it for all her kids every year on the first day of school and they loved it! This sounds like something any kid would love. (I will post her recipe for a giant oatmeal cookie at the end of this article). 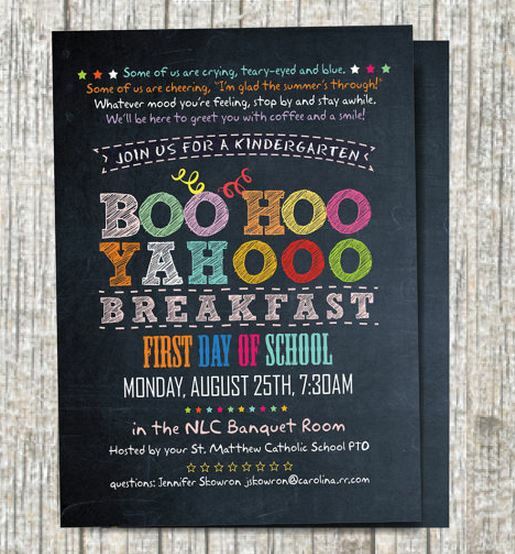 I hope your back to school goes smoothly and that you become a “yahoo” back to school parent soon if you are currently a “boo hoo” parent! Let me know if you have any other fun traditions you have done for back to school, or any tips you have for easing your child into the new school year in the comments below. Dough will be very sticky! Spread out evenly onto a round pizza pan. Bake at 350 for ten minutes and check every two to three minutes after, until golden brown.